A woodland planting of trees, shrubs and herbaceous perennials. 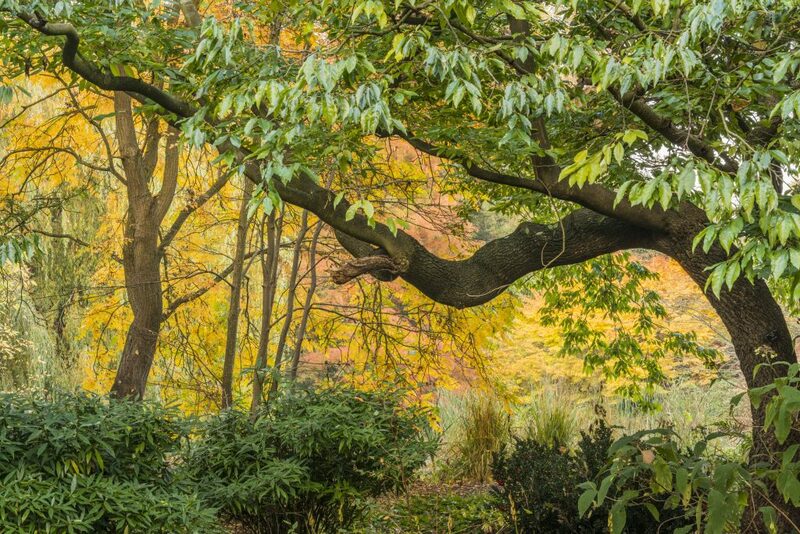 Adjacent to the Lake, the Woodland Garden contains a mix of exotic woody species, under-planted with associated herbaceous plants to create a calm, tranquil and sheltered area. Carpets of snowdrops decorate the woodland floor in late winter, and these are rapidly followed by the emerging shoots of plants keen to take advantage of increasing light levels in spring. Woody cover is provided by a host of trees and shrubs from across the globe. The handkerchief tree, Davidia involucrata var. vilmoriniana displays pendent handkerchiefs in spring. Cercidiphyllum japonicum, or kadsura tree, provides dappled cover, and fills the air with the scent of burnt sugar as its heart-shaped leave decay in autumn. The toothache tree, Zanthoxylum bungeanum, should be admired for its gnarled, toothed stems, but also for its bitter fruits which numb the mouth when chewed. 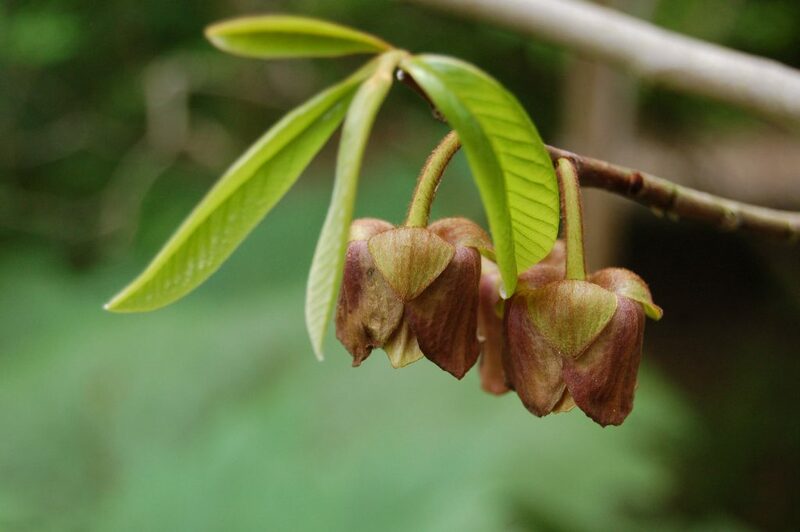 In mid summer the Californian buckeye, Aesculus parviflora, shows candle-like flowers, and rare shrubs such as Distylium racemosum and Asimina triloba (pawpaw) add year-round structure. Plantings on the woodland floor comprise rich drifts of herbaceous species from around the world. The distinctive Asian crown imperial, Fritillaria imperialis, punctuates the plantings with its vibrant orange and yellow blooms. 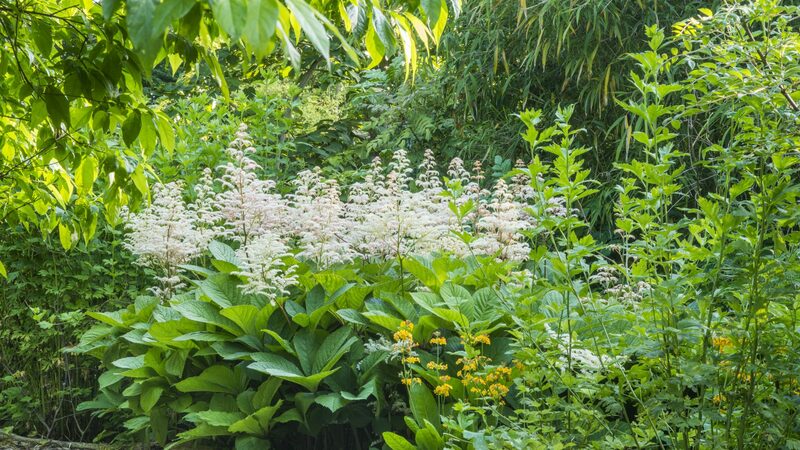 Rodgersia pinnata shows panicles of flower erupting from through robust pinnate foliage, while the more delicate Erythronium californicum ‘White Beauty’ throws up reflexed, lily-shaped flowers. 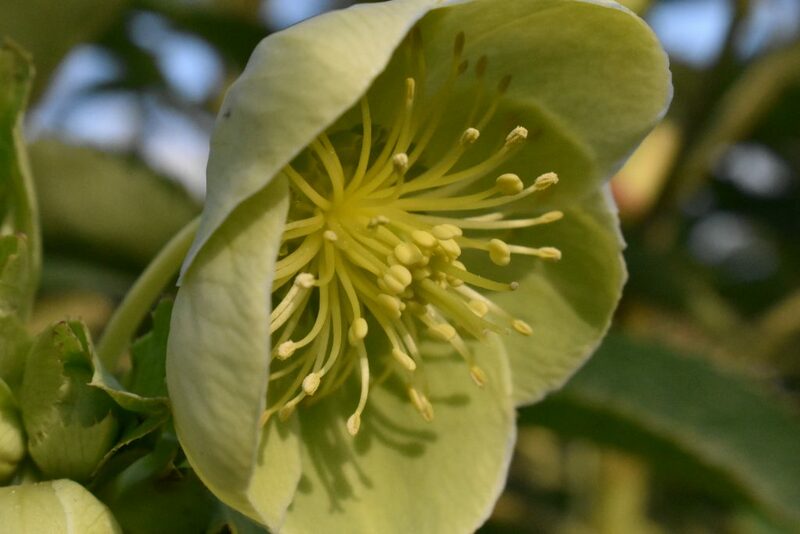 The lime-green blooms of Helleborus argutifolius contrast against the glaucous leathery foliage, and ferns , including Matteuccia struthiopteris (shuttlecock fern) and Cyrtomium fortunei ‘Clivicola’ add textural interest. With enhanced soils the Woodland Garden offers a shady, humus-rich environment in which to grow a range of woodland plants. The soft, informal plantings can be viewed from gently meandering bark paths, which provide opportunity to enjoy this calm space.